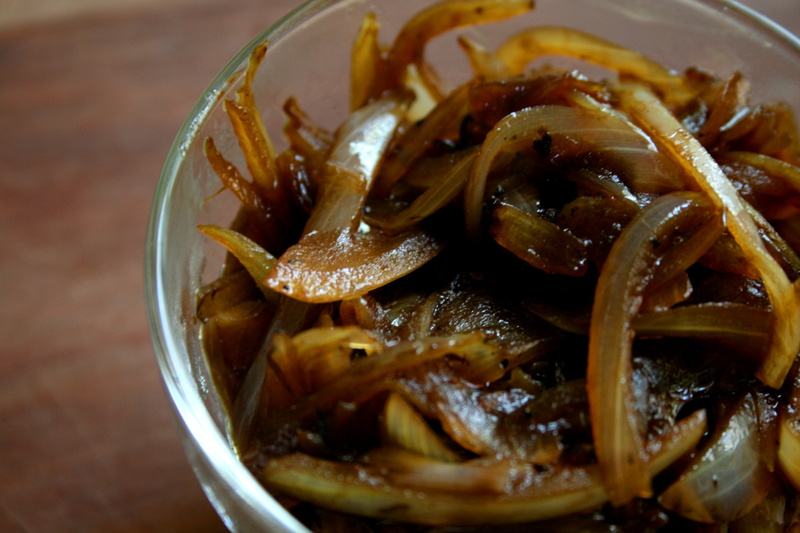 Caremelised onions are such a staple. Cook up a batch and keep in the fridge to add to your meals for the week. Add to steak sandwiches, baked dinners, on top of poached eggs for breakfast, or tossed through lentils and salads. They add flavour to everything. 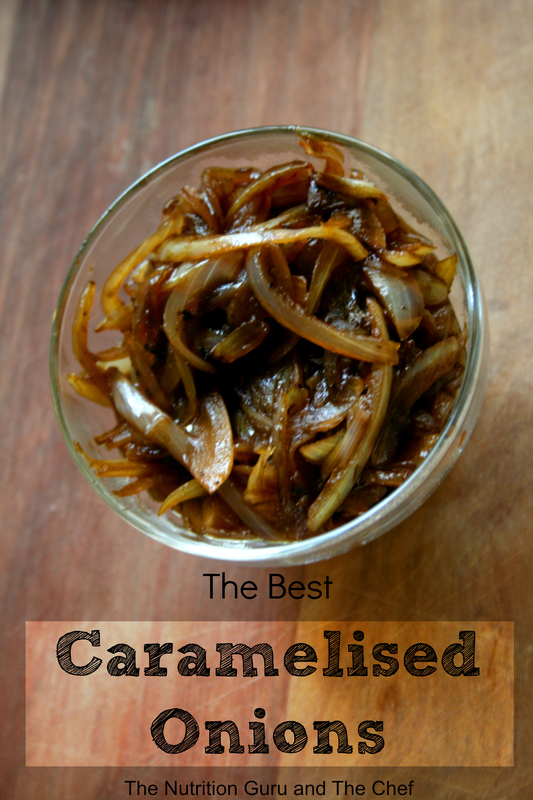 Here I will give you my tips and tricks for the perfect caramelised onions. Add enough olive oil to cover the surface of your pan. Add sliced onions and stir to coat in the olive oil. Onions should start to brown after 5 minutes in the pan. Continue to cook, stirring regularly to prevent burning. Add approximately 1-3 tablespoon of Balsamic Vinegar (depending on your taste) and stir quickly. If the onions start to burn, turn heat down and add a slash of water. Continue to cook until the onions reach the desired colour you are after (see picture). Ahhhh a little cheeky balsamic! So that’s the trick! I actually went to make some last night to go with our BBQ steak – but I knew I was too tired to proceed with any cooking at all when I put the spuds on the stove for boiling WITHOUT any water in the saucepan. I got caught in my office with end of day emails and I started to smell a weird smell…. I opened the office door and smoke came wafting in. The spuds (and the saucepan) were BLACK on the stove. I think I was lucky I didn’t burn the house down…. Fortunately, my partner picked up some takeaway on the way home. Although I love cooking, sometimes I’m just too tired! Oh dear! WE’ve all had those moments! Even the Chef burns things…it’s just all part of the fun! We don’t have children, so I can imagine cooking is a little less hectic for us, I feel for you!